The NEC Society is committed to reducing the incidence of necrotizing enterocolitis (NEC). We strive to raise awareness, empower families, and provide information on factors that increase or decrease the risks of NEC. It is imperative that families have open, direct access to information that may impact their preemie’s risk of developing NEC. Premature and vulnerable infants face an array of NEC risk factors, including very low birth weight, blood transfusions and antibiotics. Fortunately, human milk, probiotics, and standardized feeding protocols have been shown to help protect our most fragile infants from NEC. Evidence demonstrates that formula-fed infants are at a heightened risk of developing NEC, while an exclusive human milk diet offers these infants the most protection. When mother’s own milk is unavailable for premature infants, pasteurized donor breast milk is the next best option. My premature twins received care at the University of Michigan’s C.S. Mott Children’s Hospital; an institution that does not currently offer or provide their most premature and vulnerable infants with pasteurized donor milk. In my efforts to encourage Mott to provide their most fragile infants (without mother’s milk) with pasteurized donor milk, I began reaching out to other institutions. I wanted to know – what hospitals DO provide their most fragile infants (in need) with pasteurized donor milk? I learned that the American Academy of Pediatrics’ call for all preterm babies to have pasteurized donor milk (when mother’s own milk is unavailable) is largely being ignored. 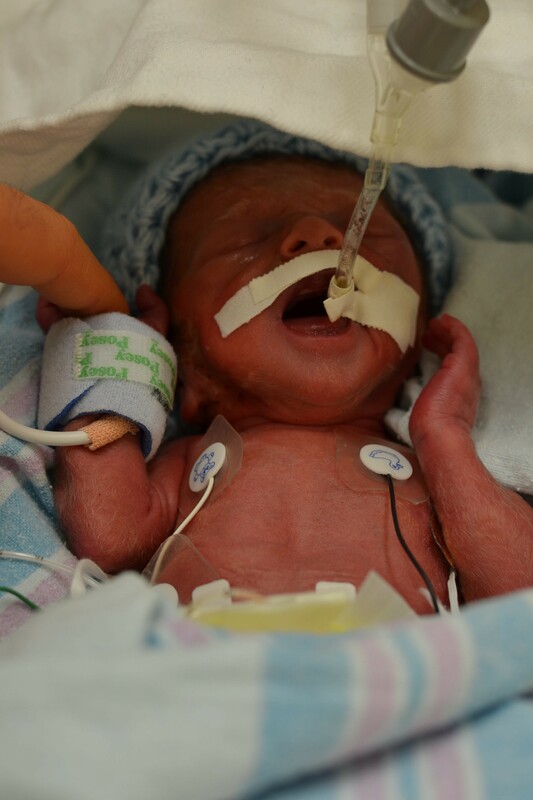 Sixty percent of the nation’s NICUs do not use donor milk. It is a shame that more parents, clinicians, medical directors and hospital administrators are unaware of donor milk’s existence, accessibility, safety and life-saving powers for premature and vulnerable infants. I am delighted to report that many of our nation’s most prestigious institutions are providing their premature and vulnerable infants with donor milk. Unfortunately, the vast majority of institutions do not provide our most fragile infants with donor milk or an exclusive human milk diet – an intervention that offers the best protection from developing NEC. If your institution provides donor milk and you would like it to appear on this list, please email Jennifer Canvasser at Jennifer@NECsociety.org. ✅ Indicates institutions verified by the NEC Society. Other institutions were referred by NEC Society supporters. Does your children’s hospital provide their most fragile infants with pasteurized donor milk when mother’s milk is unavailable? Let’s build a comprehensive list that shows who’s heeding the AAP’s call for human milk for our preemies and who’s altogether ignoring it and putting our most fragile infants at risk. Email Jennifer Canvasser at Jennifer@NECsociety.org. Too many of us can attest to NEC’s exceptionally high morbidity and mortality rates. Let’s do what we can to protect future babies. Our most vulnerable infants without mother’s milk need protection from NEC – they need access to pasteurized donor milk now. Let’s start a national, public, open conversation. All families of fragile infants deserve to know: which children’s hospitals prioritize human milk and provide their babies with the best protections from necrotizing enterocolitis?